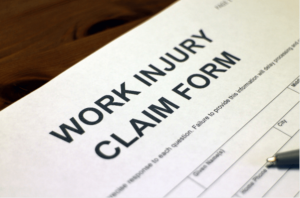 Workers Compensation | Rehoboth Beach, DE | Wilmington, DE | Williams Insurance Agency, Inc. Businesses are mandated by state law to carry workers’ compensation insurance. The Williams Insurance Agency, Inc., with offices in Rehoboth Beach, DE, and Wilmington, DE, has been serving the insurance needs of businesses throughout the Delmarva region since 1948. As an independent insurance agency, we work with the best business insurance carriers in the industry. Our business insurance experts can give your company and your employees valuable workers’ compensation insurance coverage at a reasonable cost. Workers’ compensation insurance laws were enacted to protect employees injured on the job, and to protect employers from certain types of lawsuits. Employees that are injured on the job or suffer a work-related illness will have their medical expenses covered and receive financial compensation for lost wages during their recovery. Some workers’ compensation carriers offer support programs to promote employee health and safety or retraining for employees unable to return to their former job. Contact the Williams Insurance Agency, Inc. to discuss the right workers’ compensation insurance coverage for your business. The Williams Insurance Agency, Inc. has two locations to serve businesses with all their insurance needs. Contact our Rehoboth Beach office at 302-227-2501, or our Wilmington, DE, office at 302-239-5500.